German Shepherds: 5 Things You Didn't Know! German Shepherds: 5 Things You Didn’t Know! German Shepherd Dogs (GSDs) are beloved not only for their dashing good looks but also for their versatility to perform many different tasks at a high level. They are popular with the police, national guards, and search and rescue teams. But they’re not just workhorses! German Shepherds are at home with the family or even out on the farm — and they even win dog shows too! This intelligent and athletic breed is one of the most popular in the world. Here are five amazing facts you might not know about GSDs. Schutzhund, a German word for a protection dog, is a breed suitability test which was mainly developed for the German Shepherd dog back in the 1900s. It was designed to determine whether the dog exhibits proper traits and attributes of the breed. It is said that this test’s primary purpose was to separate and eliminate the dogs who were not able to be trained or were unstable. These days, Schutzhund is used as a sport for not just German Shepherds but for many different breeds. The test is considered so difficult that only a few participant dogs can pass. These tough personalities can make GSDs tough to control if you’re not careful. 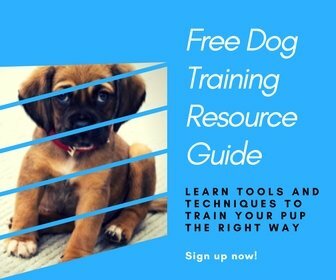 Renowned trainer Doggy Dan covers this and more in his free video series which you can watch here. Not many people know that in the 1920s, the most famous stars in Hollywood were German Shepherd dogs. Some of them were Rin Tin Tin and Etzel von Oeringen, who was better known as Strongheart. Rin Tin Tin was a war dog who had been rescued from a World War I battlefield by a soldier. After that, he was trained by his owner to appear in Hollywood movies. He starred in twenty-seven different movies and TV shows and was internationally famous. Strongheart, on the other hand, was a diligent police dog who appeared in six films. Both of these German Shepherds own a star on the Hollywood Walk of Fame. Watch Strongheart in this scene below from a 1927 silent film. Many people are under the impression that German Shepherd Dogs come in only one color combination, which is black with partially tan fur, and perhaps a little white thrown in for good measure. But this protective and faithful breed actually comes in a huge variety of different color combinations including solid black, black and cream, black and tan, black and silver, black and red, solid white, gray, blue, liver, and sable. The German Shepherd name was temporarily changed during World War I in 1914. When WWI started, people were wary of anything and everything related to Germany. Because of this, the name of the German Shepherd Dog breed was changed to “Alsatian Wolf Dog” in Britain. Interestingly, to this day they are still known as Alsatian Wolf Dogs in Britain and other parts of Europe. American-bred and German-bred German Shepherd dogs are quite distinct from one another. They might look the same, but they are highly different in traits. The American-bred dog is trained mainly for exhibiting itself in a competition. American trainers focus on enhancing their movements and appearances, which is why an American-bred GSD may be less successful as a working dog compared to one bred in Germany. On the other hand, German-bred German Shepherds are trained with a focus on their working abilities. They are the favored breeders for police and military forces worldwide. Many high-profile Americans will even import GSDs directly from Germany for personal protection. Keeping control of these beautiful but strong-willed dogs can be quite difficult. Learn the proper way to train your German Shepherd by watching this free video series from leading trainer Doggy Dan. P.S. Make sure to share this with your GSD-loving friends by pinning this!